Sunny Kohala Coast of Hawaii's Big Island! HGVC at Waikoloa Beach Resort is located near the Kohala coast on the Big Island of Hawaii. The resort offers you the ultimate island lifestyle, with waterfalls and tropical garden pathways throughout. The resort is strolling distance to championship golf courses and the white sands of the Anaaeho'omalu Bay. The resort also offers two outdoor pools and two championship tennis courts. For your dining enjoyment, the area boasts more than 30 restaurants and lounges. Hilton Grand Vacations at Waikoloa Beach Resort has 120 2-bedroom units in 6 buildings. Spacious 2-bedroom suites are beautifully appointed with a fully equipped kitchen, a comfortable dining and living area complete with cable TV, DVD and CD players, and a private Lanai. The master suite is furnished with a California King bed, cable TV and a whirlpool spa tub. The second bedroom is furnished with two double beds and also has cable TV. Timeshare Broker Sales is a licensed REALTOR, and a BBB Accredited Business. We are timeshare resale specialists, and authorized broker for Hilton Grand Vacations Club worldwide. 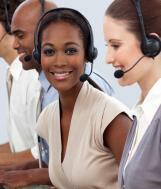 Call us today Toll Free at (800) 985-9946 Remember, as Licensed Timeshare Brokers, there are never any Upfront Fees!